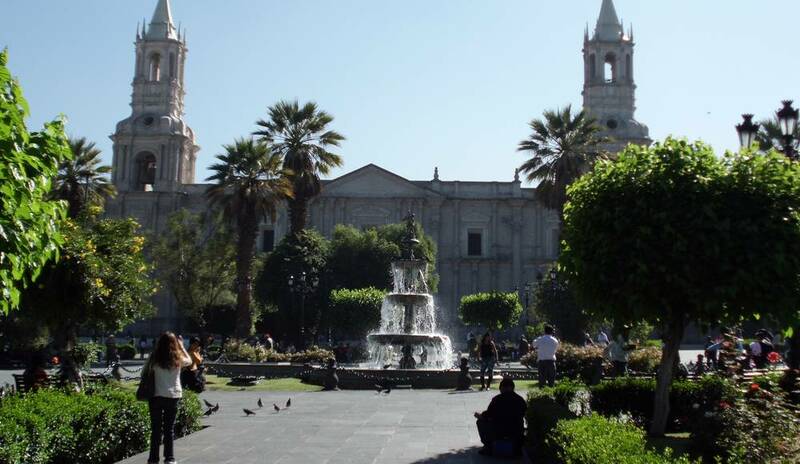 The Plaza Mayor (or Plaza de Armas), is one of the main public areas of Arequipa and place of foundation of the city. 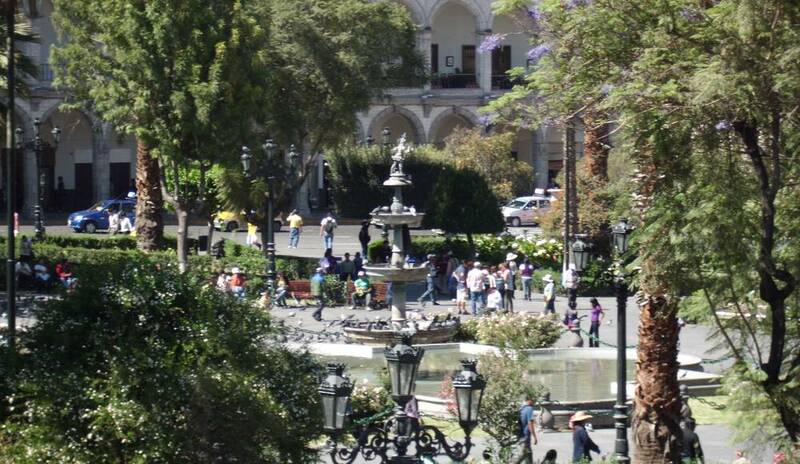 Located in the historic center of Arequipa, near the Cathedral (in the north), in the center of the square stands a bronze fountain. 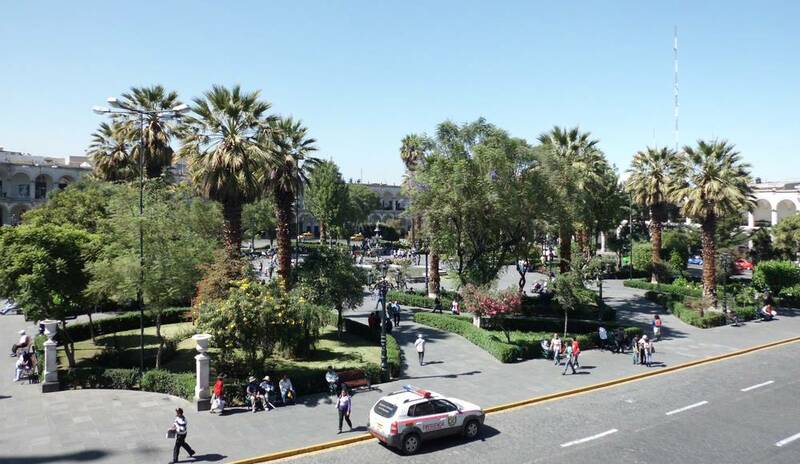 If you are human, can you tell what is the value of twice twenty-two when we subtract one?